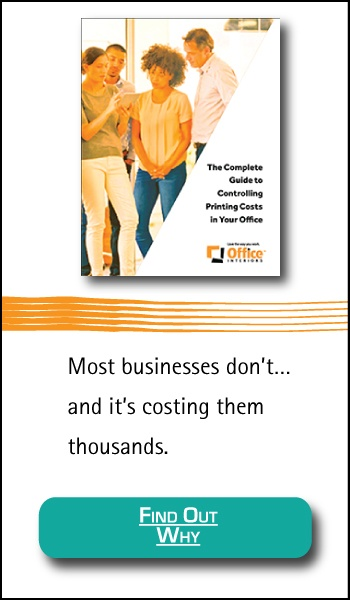 Colour vs Black & White Printing Costs: Why Are Colour Copies Exponentially More Expensive? 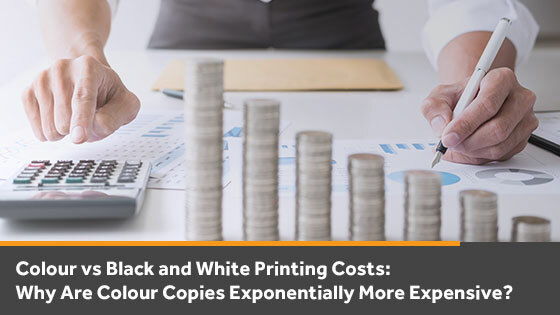 If you have ever purchased new ink or toner for your printing devices, then you have witnessed first-hand the difference in colour vs black and white printing costs. Colour copies always cost significantly more than black and white copies. Why is the cost of copies so dependent on whether you choose to print in colour or not? Does colour toner have special ingredients that cost more than basic black toner? Is there a dire shortage of colour toner cartridges that drives up the price for consumers? Many possible explanations come to mind. This article will clear up the confusion about colour printing and why the cost of copies changes so much when choosing colour over black and white. Most printers and copiers make use of four different toner cartridges. There is a black cartridge, a yellow cartridge, a magenta cartridge, and a cyan cartridge. These four cartridges work together to create the full range of colours that you see on the page once the printing is complete. Printing in black and white uses only the black toner cartridge and the white space on the paper to produce the image. Printing in colour uses all four toner cartridges to create bright, colourful images and the additional cartridges applied means more toner is consumed per page. However, you are right to believe the cost of printing colour copies has more to it than just the number of cartridges. When you print a colour document or image, you are not merely choosing to use one colour cartridge instead of a black cartridge. In fact, to create some colours, you may be using all cartridges at once. Instead of just depleting one cartridge, you could be draining all four. This means that cartridges will deplete faster and, ultimately, need to be replaced more frequently. Four toner cartridges used for a colour print means colour prints should be four times more expensive than black and white prints, right? On the surface, that assumption makes sense. However, the final cost is not as simple as counting how many toner cartridges were used. Still, using all the cartridges doesn’t quite explain why the cost per copy (CPC) is so much higher for colour copies. There is still one more piece of the puzzle we must add. We know you need more toner cartridges in a colour printer. We also know you may be using multiple colours of toner at once to create a colour image. All of this raises the CPC rate for colour copies. The final consideration that often plays a significant role in colour vs black and white printing costs is the type of image you are printing. Think about the kinds of documents or graphics you would print in colour and then think about the types of documents or images that you would choose to print in black and white. The type of printing you will typically do in black and white is document printing. Black letters on a white page are simple and leave a lot of white space on the page. Therefore, these print jobs do not require a lot of toner. However, your colour print jobs are likely fuller and much more detailed when compared with black and white printing. Even a simple page with a pie graph that uses different colours to show different variables can handle significantly more toner than a black and white document. It is even possible that all four toner cartridges could be working at once to fill in the image with various colours. Not only are you using multiple cartridges at once, but you are often using significantly more toner on each page printed in colour. This is referring to what is known as page coverage, or the percentage of a page’s white space covered by toner. Black and white text typically leaves much more white space than the rich image, table or graph that you might be printing in colour. This is why the colour CPC rate is often more than four times the CPC rate for black and white copies. There are several variables at play that all need to be averaged into the total cost. Since the quantity of toner used for each impression can vary so wildly, the costing formula is based on average page coverage, toner usage and cartridge wear for each page printed. While this may be frustrating when you are billed for a colour impression on a page with very little colour, it is necessary to keep the billing process smooth and efficient for both end users and service providers. 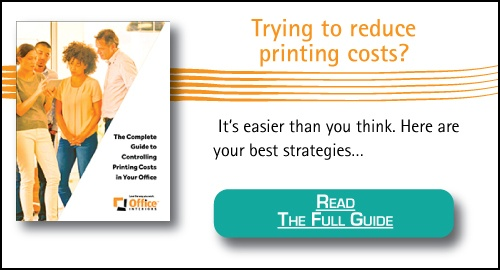 If you want to learn how you can ensure you keep costs down while maintaining access to stunning colour copies when you need them, check out our Complete Guide to Controlling Printing Costs today!